A strong week for X-Men-related titles last week, according to Diamond Comic Distributors' reorder data. Extermination #1 led reorders by dollar volume; the issue went on sale August 15. The top softcover for the week was Old Man Logan; the top hardcover, Batman by Grant Morrison Omnibus. Check out that and more reorder activity from last week on our August-so-far page. 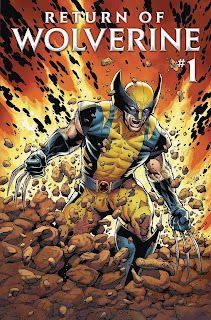 Meanwhile, Charles Soule and Steve McNiven's Return of Wolverine #1 was the top advance-reordered item for the week. The issue goes on sale Sept. 19. Click here to see what's known about September orders so far. You can also see all reorder and advance reorder activity for the year to date. 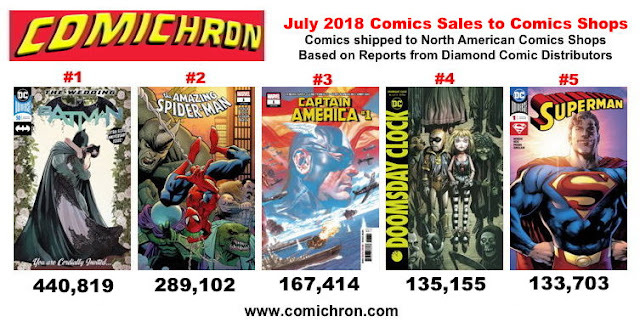 Retailers reordered more Fantastic Four #1s by Dan Slott and Skottie Young last week than any other comic from Diamond Comic Distributors, by dollar volume. 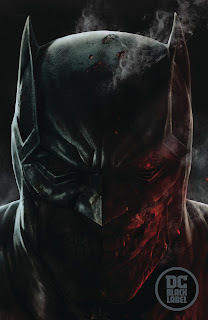 Meanwhile, DC's "Black Label" launches in September with Batman Damned #1 by Brian Azzarello; the issue topped advance reorders placed last week with Diamond by retailers. Venom #3 led for Marvel, while the new series launch Cemetery Beach #1 led for Image. Click here to see what's known about September orders so far. You can also see all reorder and advance reorder activity for the year to date. Retailer reorders from last week are in from Diamond Comic Distributors, and they show the lingering effects of Batman #50's colossal 441,000-copy sale to retailers in North America in July. 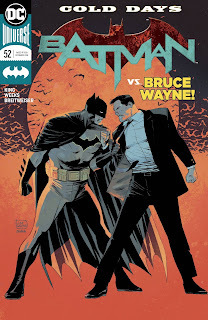 Batman #52 was the top reordered comic book for the week. X-Men Revolution by Chris Claremont Omnibus was the top reordered item by dollars. And after many weeks in the top slot for reordered trade paperbacks, Infinity Gauntlet was finally dethroned by Prince T'challa in Black Panther Vol. 1: Nation Under Our Feet. Click to see the full reorder lists for August. We now also have our first advance reordered comics for September. Thanos Legacy #1 was the top advance-reordered comic book, with two versions in the top four. Batman: White Knight was the top advance-reordered graphic novel. Click to see our reorder lists for September. 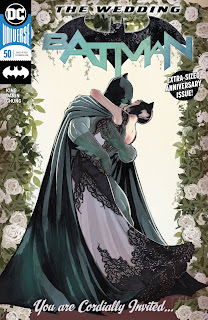 As noted here Friday, the comics shop market made up considerable ground in July comparison with a weak July 2017, thanks to the Batman wedding storyline and several high-profile launches. Retailers ordered $44.64 million worth of comic books, graphic novels, and magazines in the month; the year-to-date deficit, piled up in winter, was cut in half to less than 2%. Click to see the comics sales estimates from July 2017. Both Marvel and DC contributed, combining for a dual market share of 70.69%, the highest proportion of the market seen since October 2011, right after the debut of the New 52. DC's Batman #50 led the comics list with nearly 441,000 copies shipped; it was the third regularly priced item of the year to top 400,000 copies. While DC announced both it and Catwoman #1 would be made returnable owing to retailer concerns over the storyline and its premature revelation online, Diamond Comic Distributors did not adjust the issues' numbers downward for returnability. This is normal, in keeping with practices regarding comics that are not made returnable until after they've been ordered; comics become returnable after they've been ordered and/or shipped all the time, and those items are not adjusted in tables. The end-of-year totals always account both for returns and for reorders; Batman #50 did lead comics in the reorder charts twice during the month. 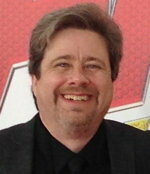 Market share leader Marvel beat its July 2017 dollar sales by 16%, aided by Amazing Spider-Man #1 (more than 289,000 copies) and Captain America #1 (more than 167,000 copies), among other launches. DC's dollar sales were up 29% year over year, a figure exactly matched by IDW, which followed up a June in which it had a recent-record-low number of new comic books on the shelves (19) with nearly three times as many, 56. Die Die Die #1, which shipped without being solicited and went on sale July 11, landed in 174th place even though it was the highest-circulation Image book of the month. 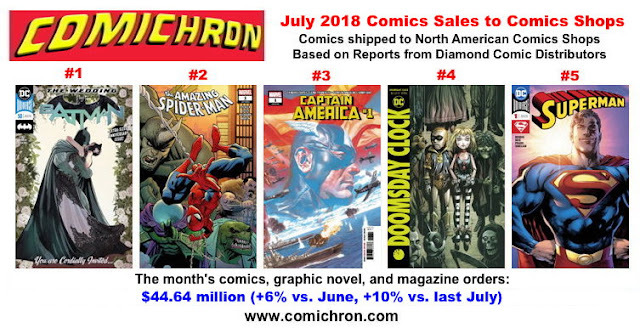 That's because its initial shipment, reportedly equal to the 80,000 or so copies shipped of Robert Kirkman's previous launch, Oblivion Song #1, was provided to retailers at no charge, and Diamond confirmed it had treated those copies as promotional items. 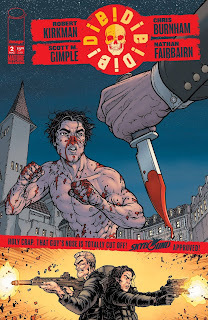 Retailers reordered 9,975 copies of Die Die Die #1 in July in the United States and Canada, and it is those copies that appear in Diamond's tables. The number of copies in circulation, however, is more than 90,000. 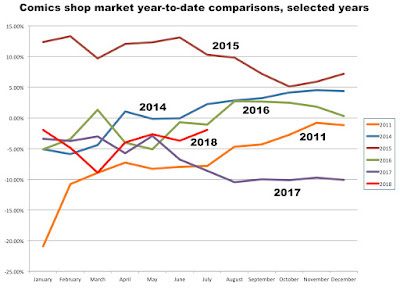 Both of the Big Two publishers contributed market leadership, splitting the Top 10 evenly and combining for a dual market share of 70.69%, the highest seen since October 2011, right after the debut of the New 52. Market share leader Marvel beat its July 2017 dollar sales by 16%, aided by Amazing Spider-Man #1 and Captain America #1, among other launches. DC did even better relative to its results a year earlier, with Batman #50 leading the comics list and Batman Vol. 6: Bride or Burglar leading the graphic novels. Doomsday Clock #6 and Superman #1 placed fourth and fifth. DC's dollar sales were up 29% year over year, a figure exactly matched by IDW, which followed up a June in which it had a recent-record-low number of new comic books on the shelves (19) with nearly three times as many, 56. 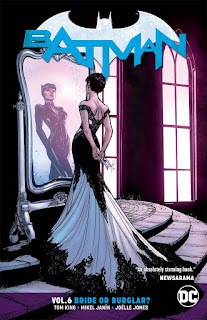 Image's top title, Die Die Die #1, which shipped without being solicited and went on sale July 11, did not make the Top 10, but it couldn't have missed by much . The number of copies shipped was reportedly equal to orders on Robert Kirkman' s previous launch, Oblivion Song #1, from March; that would put it above 80,000 copies, and the issue did lead reorders in intervening weeks. So the Top 10 will have sales somewhere above that. Discordant notes came again from graphic novels, down 9% in dollars — but only 5% in units, suggesting we're seeing the effects of a number of books being deep-discounted. 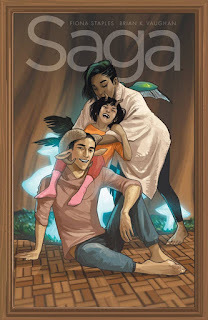 Graphic novel drops in the single digits are an improvement over 2017's average rate of decline; strong graphic novel months tend to echo ones for comic books some months later because of the collection dynamic, so we'll see whether things pick up as the holidays approach. It's certainly the case that a month seeing relaunches of so many titles from the two largest publishers ought to be a good one; the fact that it was may show a return to some level of normalcy, after a year in which very little was working as it was supposed to. August is a five shipping week month, up against a $45.72 million month from 2017, which had an equal number of weeks. This July just nearly beat that figure, so decent prospects for making up ground continue; launches for Infinity Wars and Fantastic Four are also in the mix. Click to see what we know about August so far. Update: I took a look at year-to-date percentage changes across time for selected years in the chart seen at right; click to enlarge it. 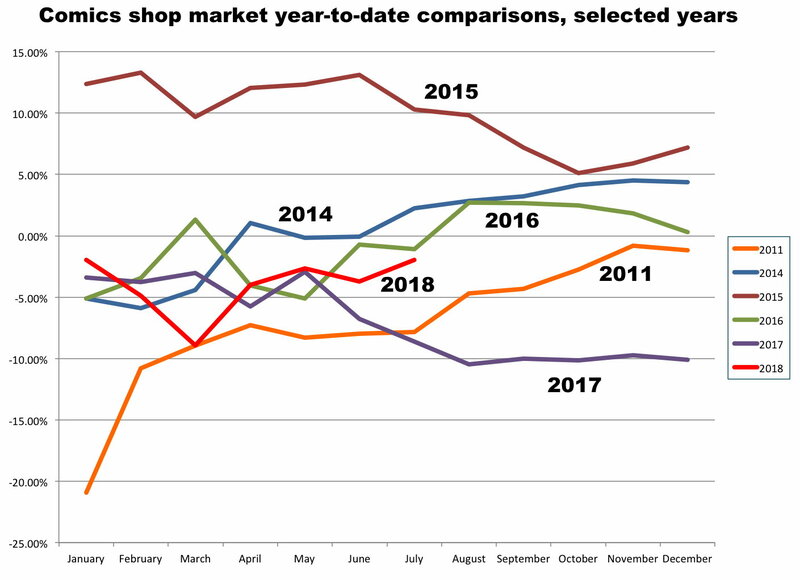 You can see in it years that started off okay relative to their previous years and got worse, like 2017 — and years where a bad start was nearly erased by a strong finish, like 2011 when New 52 helped the market nearly catch up with the previous year by the end. To date, 2018 is looking a little more like 2014 and 2016, if starting from a lower point; those were two more normal years, where a slow winter was erased by a stronger spring, summer, and fall. The big dip in March is because the fifth week this winter went to January instead, which is something that undermines this kind of analysis. But it is interesting to see the progression generally.